Many web host have problem with upgrading PHP versions as upgrading PHP break customers using older version of PHP Script. Now with latest trend in PHP programming, most developers are using latest tools like composer, MVC framework etc.. These new tools force programmers to use latest versions of PHP. With PHP Version Selector, it is easy for programmers to select whatever version of PHP they need. To select PHP version, login to cpanel, click on Select PHP Version button. On next page, you get a drop down with available PHP versions. Select PHP version you prefer, select Set as current. 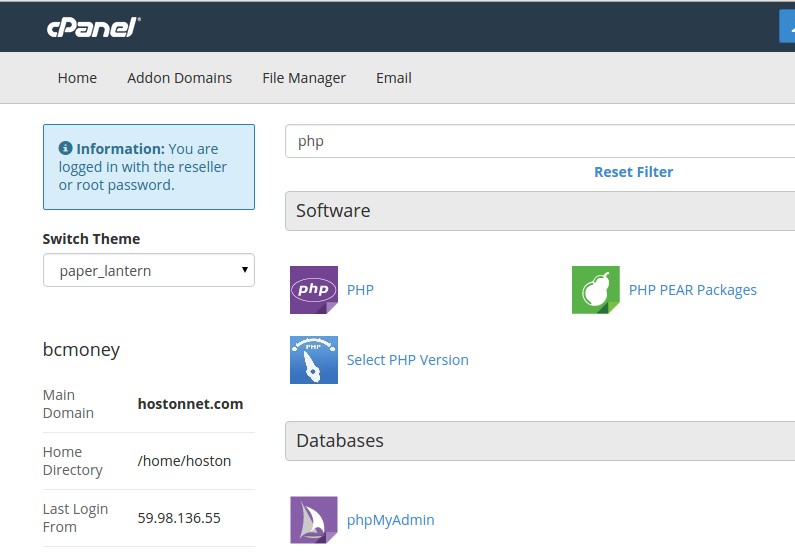 Cpanel will show you a page with available PHP Modules, you can select PHP modules you want for your web site. IMPORTANT: If you have custom php.ini file, PHP modules will not load properly. So remove all php.ini file from your web site.